Ask fellow campers about "Lower Lehman Creek Campground (NPS Campground)" and nearby attractions. Beautiful campground full of trees and a nice creek running right along the sites. It is a tight road through the campground and the camp sites are a tight fit for larger rigs. However, if you're confident and skilled, it can be done. We only saw a couple pull through sites. We camped at Lower Lehman Creek Campground (NPS Campground) in a Travel Trailer. The hike to Stella Lake is worth the effort! Take a tour of Lehman Caves. We were looking for a CG within Great Basin NP that would be convenient to hiking trails in the park. We're self contained and don't use the facilities. We stayed on weeknights in early October in our 25 foot MH. There are 4 non-reservable CGs off the park's scenic drive. We did not see Baker Creek although drove the dirt road which was ok for our rig. We arrived at 1pm on a Thursday and Lower Lehman Creek was full. We found a site at Upper Lehman Creek which filled by early evening. The campsites are arrayed around a relatively tight loop and vary significantly in size and shape. Most have asphalt pads that are back in or drive in. There are 1 or 2 pull throughs. Some have separate tent spaces. Most are shady and are quite private with trees and shrubs between the sites. Most need leveling. Water spigots were turned off for the season due to freezing temps at night. There was weak yet occasionally usable ATT and Verizon cell signal. Wheeler Peak was closed for the season. That CG is similar to the other 2 only with gorgeous views. We camped at Lower Lehman Creek Campground (NPS Campground) in a Motorhome. The CG is right off the scenic drive. The Lehman Creek Trailhead is within Upper Lehman Creek CG. Lehman Caves and the LC Visitor Center we're a short drive away. It's a short drive to all other trailheads near the scenic drive, as well as to Baker and the GBNP Visitor Center. This was a dry camp with zero hookups. There were fresh water spigots available in the park, but nothing you could use to fill a tank. Pit toilets, and the one nearest our site had no lock or latch on the door. There were only 11 sites. Those negatives aside, this was a beautiful and peaceful spot. Our site (#9) was the best! Some kind soul had hung a hummingbird feeder in a tree and lots of hummingbirds were using it! Also, right on our site came five deer, and about that many wild turkeys! No other campers in sight, although they weren't too far away. No one used generators that we could hear. The only bummer about the wildlife was that we were invaded with mice that night! We had five in our motorhome that night and had had to get traps, etc. to be sure they don't make their home in our RV. We would stay there again if we are ever in the area. Very dark at night and millions of stars! We camped at Lower Lehman Creek Campground (NPS Campground) in a Motorhome. Close to Mt. Wheeler road and Lehman Caves visitor center. No lights at night, so be sure to look at the stars! Verizon service here in the camp ground is good. It is on extended network and 3G. Upper camp ground is closed for construction but driving by it we had three bars. We are in site 2 writing this review. If you have a motor home bring extra blocks to level as it can be a chalenge. Trees are overgrown and need trimed back. Very quite campground with a stream running beside it. We will come back. We camped at Lower Lehman Creek Campground (NPS Campground) in a Motorhome. Site # 10 proved to be one of the ideal camping spots for us. We backed into the site and the beautiful Lehman River is flowing 30 feet behind our site. The sound of rushing water is so wonderful. We can not see any of the other 10 campsite because of all the natural foliage, can not hear them because of the river, and can not smell the smoldering campfire smoke. It is cool and beautiful here. We camped at Lower Lehman Creek Campground (NPS Campground) in a Fifth Wheel. Lower Lehman Campground has 11 sites, mostly pull-throughs, some of which can accommodate the largest rigs. There is no electricity, no sewer, very clean vault toilets, a few water spigots and no reservations. The cost was $6 with the Federal Senior Access Pass. By the evening of my stay, all the sites were occupied. The sites are decently spread out, with trees and understory providing good privacy. In August, the nighttime temperature dropped into the 30's. Lehman Creek runs past the campground and provides a nice, chuckling background noise. The nearby town of Baker has little to offer. Come prepared with all the supplies you will need. I would definitely stay here again, given the opportunity. We camped at Lower Lehman Creek Campground (NPS Campground) in a Travel Trailer. The park road past the campground tops out at 10,000 feet. From there, there are trails to Wheeler Peak with scenic lakes and bristlecone pines (the oldest living things on the planet). The Park Service offers regular tours of Lehman Cave behind the Visitors Center. Loved this campground. Had a site right next to Lehman Creek. The sites are paved, but not level. It would have been nice if they were graded prior to paving. Would definitely stay again as my preference is being in the parks, not outside of them. We camped at Lower Lehman Creek Campground (NPS Campground) in a Motorhome. No reservations for any campground in Great Basin N.P. Both Lower and Upper Lehman have lovely spots along the creek with fire rings at each campsite. Vault toilets and water spigots around the campground. Many spaces are very un-level so bring lots of blocks if you plan to camp here in an RV. Most spots have either AM or PM shade. Good access to Lehman Caves and Visitor Center. Gas in Baker is pricey so plan accordingly; a few grocery stops and that's about it. Great Basin N.P. well worth a visit. We camped at Lower Lehman Creek Campground (NPS Campground) in a Motorhome. This small campground is hard to rate, as there is a lot of variability between campsites. We stayed in campsite number 10 and it was so nice we stayed longer than we expected. If you come here, plan to arrive early: 9:30-10:30,on a weekday, as there are no reservations and the campground fills up early in the day. There are no hookups. There is a pit toilet that is clean. Our rate reflected a Golden Age Pass, and the rate was reduced because the water had not been turned on. The campground is at about 7,500 feet so it is nice and cool, with lots of trees around. In campsite 10 we had no trouble leveling our 40 foot rig, but some of the other campsites did not look quite as level. We camped at Lower Lehman Creek Campground (NPS Campground) in a Motorhome. Actually we stayed at Baker Creek Campground. Lovely spot, great views but had to take a very dusty road to get here. Large sites, good hikes. We camped at Lower Lehman Creek Campground (NPS Campground) in a Motorhome. Access is great. The campground is eight miles up from Baker. Paved all the way. The road in the campground is a little tight with overhanging trees but we had no problem in our 36' RV. (There is another campground just up from this one, the Upper Lehman, but it's pretty tight for a big rig. There is a third one up on Wheeler Peak but it's really a tenter park.) The campground is sweet. Eleven sites with lots of privacy and a wonderful creek running right through it. There are two or three good sites for big rigs. We camped in number 10 which is the most level and gives you your own creek beach! The price when the water is turned on is $12 (half for Senior Pass) and $6 when there is no water. There are restrooms but that's all. You can dump near the Visitor's Center for $5 but we weren't able to get water there as it's set up for gravity feed tanks. We went down the hill to Baker to the Sinclair Station and got our water there. Best to just go there, dump and get water. It's $5 to dump. There is no cell connectivity in the park but our Dish satellite antenna worked fine. Take a drive up to Wheeler Peak; take the toad through Oceola (not much there but a nice drive); stop and see the deer antler place. We camped at Lower Lehman Creek Campground (NPS Campground) in a Motorhome. The rate reflects off-season rate (water not on in the campground yet) and 50% senior discount. There is drinking water available at the dump station which is about 5 miles from the CG. Lower Lehman is the most medium size rig friendly CG in Great Basin National Park and it is not really for big rigs. We are 27 feet long and I don' think you would want to try for anything longer than 35 or so feet. As noted, leveling is a significant challenge that becomes even more difficult as your rig gets longer. The setting is nice, beautiful, calm, dark & quite, all of which we like. Some of the pull through sites are right next to the stream flowing through the campground. When you come into the park, there is a sign pointing to the right toward "Wheeler Peak." Even though it does not mention the campground, it will take you to Lower Lehman, Upper Lehman, and, eventually, Wheeler Peak. Lower Lehman entrance is 1.9 miles up this road. It is a fairly steep climb at supposedly an 8% grade. If you are a larger rig, do not go past this point. Some medium rigs might fit in Upper Lehman, bit it would be a tight fit and even harder to level than Lower Lehman. Definitely do not go past Upper Lehman or you will be in for about 8 miles of very steep, very winding mountain road to get to Wheeler Peak CG. There is another campground in the park -- Baker Creek, but it is up a dirt/gravel road to fairly small sites. This one would be for tenter's or the very adventurous. We would definitely stay at Lower Lehman again. We camped at Lower Lehman Creek Campground (NPS Campground) in a Motorhome. Beautiful setting in a quiet area. Sites were not really level and can be tight for larger rigs. Bring all the leveling blocks you own. Otherwise, we were lucky to grab a deep back-in site for our 30' foot Class C that we liked so much we stayed an extra night. Pit toilets and no showers, but what a deal for $6.00 a night. Dump station is near the visitor center. We camped at Lower Lehman Creek Campground (NPS Campground) in a Motorhome. Some very nice and very large sites here, my only complaint is that I could not seem to be able to get level in any of them available to me, even with levelers. We camped at Lower Lehman Creek Campground (NPS Campground) in a Motorhome. Nice National Park campground at the entrance to Great Basin that is open in the winter. 11 spaces, most are plowed. We camped in #5 and had the place to ourselves. Amazing wildlife and winter scenery. Trash and pit toilet service provided. We camped at Lower Lehman Creek Campground (NPS Campground) in a Motorhome. 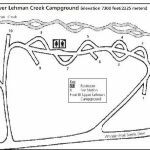 Are you affiliated with Lower Lehman Creek Campground (NPS Campground) ?